Can you get the right answer if you ask the wrong question? Common sense would dictate that asking how to get to the beach would seldom get you directions to the mountains. 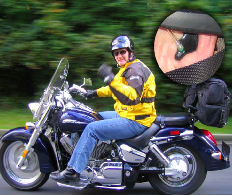 Likewise, trying to solve the problem of Noise Induced Hearing Loss (NIHL) by fixing how people choose and put in their hearing protection might be only part of the answer. 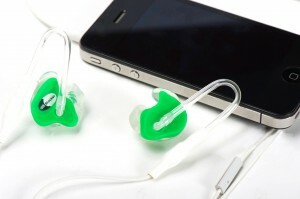 Noise Induced Hearing Loss (NIHL) is still a concern. 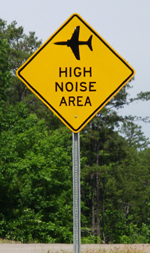 Noise Induced Hearing Loss affects, by some reports, 1/3 of the persons in North America working in noise. If 1/3 of the people in New York City had the same malady, you can bet the Centers for Disease Control and Prevention (CDC) would respond. Likewise, the National Institute of Occupational Safety & Health, the CDC’s workplace health and safety arm, has been on the case of NIHL for decades. Regrettably, it is still a real problem. Certainly this is a worthwhile goal provided once the protector is fit, it stays in their ears. Aye, but there’s the rub. Dr. Peter Rabinovitch has studied Alcoa’s hearing conservation program for many years. Dr. Rabinovitch says that “he can see no outcomes in Alcoa’s hearing conservation program attributable to the use of Fit Checking systems”. That’s a lot of teaching and testing for no improvement in reducing NIHL. Dr. Barry Bessler, in a speech to the National Hearing Conservation Association in 2007 tried to explain why rational, intelligent, normal people would turn up their digital music players loud enough to hurt their ears. Dr. Bessler’s answer was reasoned and complex. One of the points he made is relevant to this conversation. He theorized that our sense of hearing is “hard wired” to our sense of safety. Impair hearing and we don’t feel safe. In wanting to keep “in touch” with our environment, to feel safe, we need to be able to hear. Therefore, if we are using hearing protection it must not block our ability to hear. It must just make it safe to do so. Given that most types of hearing protection substantially reduce our ability to hear our environment, will workers keep these protectors in their ears? The evidence seems to indicate that they won’t. This brings me back to my original point, in developing systems/machines to measure attenuation are we solving the problem of NIHL. 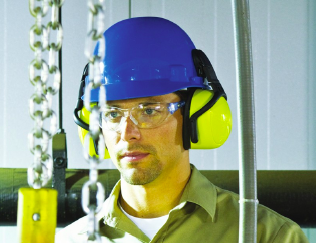 So what we need to do is not worry about how much noise reduction a properly-worn hearing protector may provide if inserted in total compliance with the manufactuer’s instruction. What we need to worry about is whether the protector is providing sufficient noise reduction for the noise in which the wearer works. Instead of using these systems/machines to teach, we should be using them to verify. If Joe is is carrying a noise burden of 92 dBA and he needs only 17 dB of noise reduction to be safe and can get a consistent 17 dB of noise reduction from an earplug with an NRR of 33 dB, GOOD! Joe doesn’t have to be taught how to get 33 dB of noise reduction. Or, in the case of a custom earplug, one should be made for Joe that givens him 17 dB of noise reduction. I’m afraid I have my doubts that such a direction will be taken. We need to be talking about making hearing protection as invisible to hearing as safety glasses are to vision. Instead, we have made them as cumbersome as full-face respirators. In the interest of full disclosure Custom Protect Ear sells and supports the FitCheck and FitCheck Solo attenuation measurement systems. We do so understanding that they can be used as a tool to teach the effectiveness of hearing protection. If you have something to add to this discussion, and you will be attending ASSE 2013 in Las Vegas this June, please come by and share it with me. 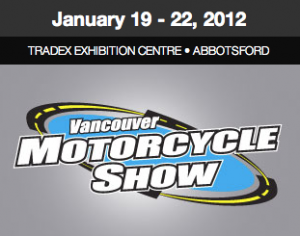 Custom Protect Ear is in booth # 551. Loud noises effects everyone from Musicians to Industrial trade workers to an everyday teenager. As the world gets noisier we need to protect our hearing more than ever. It may be the last thing we think of – BUT THINK ABOUT IT… what would you do if your ears were always ringing – or if you could not hear your baby cry – or listen to the sounds of one of your favourite bands like Coldplay. As a fan of Coldplay I wanted to share this article with everyone who thinks that “Naaa this wont happen to me”… Because YES it can! Chris believes that listening to blaring music as a teenager was the root cause and he wants others to avoid the same fate. He said: “Looking after your ears is unfortunately something you don’t think about until there’s a problem. I wish I’d thought about it earlier.” The star insists his two children, Apple, seven, and Moses, six, are never exposed to loud music. During 2005’s Live 8 concert at Hyde Park in London, Apple wore giant ear defenders. Last night a friend of the star said: “Chris suffered with terrible ringing in his ears and excruciating headaches. “If he hadn’t sought treatment, he might not be performing today. Tinnitus – a problem usually affecting the over-55s – can result in permanent deafness if untreated. Chris is now fronting a new charity campaign – Action On Hearing Loss – with sufferers including rapper Plan B and 80s pop legend Gary Numan. Plan B, 28, said: “At first I thought it was trains rushing by as I live near a railway line. It’s caused by years of being subjected to loud music.” Gary Numan, 54, also revealed he was no longer able to mix music after damaging his ears during the peak of his career. * For more information Read Article Here. Action on Hearing Loss: A charity with a great cause. Action on Hearing Loss is an Organization in the UK that promotes a world where hearing loss doesn’t limit or label people, where tinnitus is silenced – and where people value and look after their hearing. BUT every time you listen to loud music for too long, you increase the risk of damaging your hearing. If your exposure to loud music is repeated regularly, the damage could be permanent. Learn more about Action on Hearing Loss. The most common occupational illness for miners is hearing loss. Immediately noise levels come to mind – the large drilling machines, close proximity to loud machines and the reverberation off the walls of the mine. According to NIOSH and the CDC, by age 60, 75% of miners have a hearing impairment due to exposure to noise jumping castle. Hearing loss is 100% preventable and unfortunately, once it occurs, there is no cure. You may not even notice that the damage has occurred right away, because it causes no pain and the damage is not visible. Do not wait to experience any of these symptoms before you protect your ears with hearing protection. 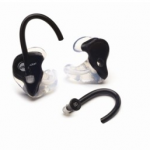 Custom Protect Ear dB Blockers™ custom fit earplugs are more comfortable and offer superior hearing protection to any disposable earplug. However, did you know that they are more cost effective as well? 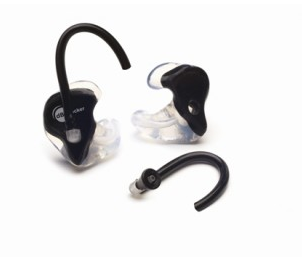 You can reduce your hearing protection costs by 60% over five years when an entire facility is fit. dB Blockers™ are more comfortable because there is only one way for them to fit and they made for each individual. They also make it easy for workers to communicate with each other because of our proprietary tuned filter that allows users to hear better with the plugs in than if they take them out. Our product is safer for miners because it allows them to hear. Hear warning signals, hear backup alarms, and hear the roof. Our dB Blockers™ are made from a non-flammable, hypoallergenic silicon blend (called SkinSoft™) unlike disposable earplugs, which are flammable and make users prone to ear infections. Disposable foam earplugs also swell when they come in contact with water or perspiration. We urge you to consider Custom Protect Ear dB Blockers for your mine for a product that can be worn for an entire shift because if you can’t hear, it’s not clear.